You pick your favorite photos from your gallery, we design a hard cover book. These are not your typical photo books. 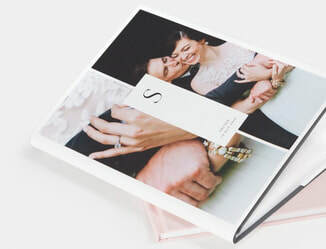 They're simply super pretty and also featuring 100% recycled interior pages and editorial cover designs, the hardcover photo book yields classic appeal and archival quality. Make this coffee-table-style book your own by adding your favorite photos from your wedding.